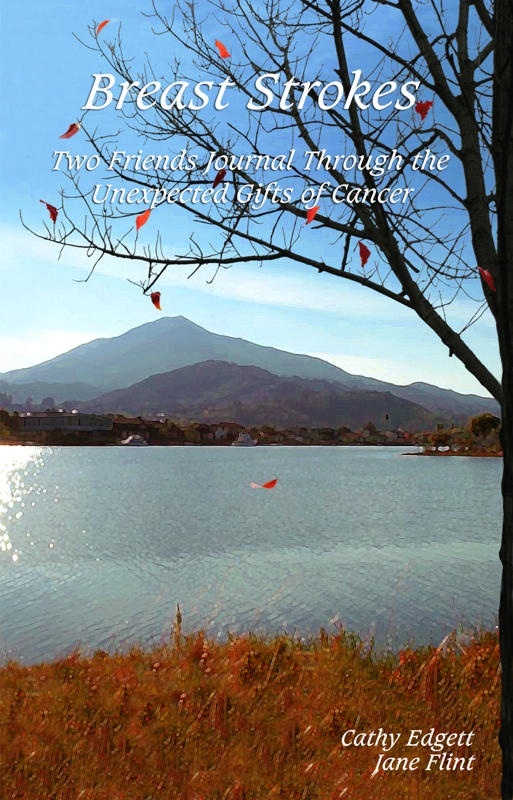 Breast Strokes: Two Friends Journal Through the Unexpected Gifts of Cancer is released. This book grew out of a writing partnership that sustained two friends during one friend’s illness. Cathy: Jane and I made a commitment to speak each week-day morning at 7 and write. That commitment not only got me out of bed with enthusiasm but allowed me to feel involved in the world. We read to each other what we wrote and discovered we often had similar images and themes. We learned that writing at the same time, in different homes, brought in something more, that the whole was more than the sum of its parts. Jane: Although I have written poetry for much of my life, I had never given my self time to write every day. Cathy’s request to write with her while she went through cancer treatment gave me that permission. By committing to writing with Cathy I made the time to write, in spite of family and work priorities. Our hope as co-authors for this blog is to provide a place of dialog and understanding for anyone going through difficulty and anyone who supports them in that journey. Sometimes, perhaps, finding a quote or poem here will be enough to lift the spirit. Other times it might be important that you share your own experience, your own journey, that you record your images and feelings. We welcome you here.